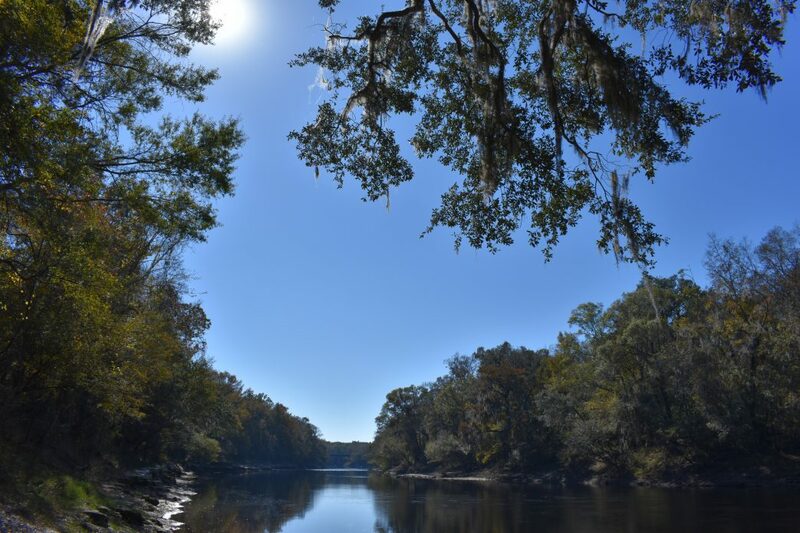 The Suwannee River is approximately 246 miles long and runs through northern Florida and southern Georgia. Regardless of your level of experience with basin management action plans (BMAPS), there are things about them everyone should know. The short version is this: BMAPs are plans to restore water quality in a body of water to a level below what is considered impaired. Water bodies in Florida have been categorized based on what they are used for, and a pollutant load has been set. The pollutant load, the total maximum daily load (TMDL), is the maximum amount of a substance that can be added to that water body without causing impairment. When a water body is impaired, a BMAP is the mechanism state agencies use to get the water body back below the TMDL and off the impaired list. Let’s look at an example. In the Suwannee River Basin, there are several springs that flow into the Suwannee River. The TMDL for the Suwannee River and area springs has been set at 0.35 milligrams per liter for nitrate nitrogen. There are springs and sections of the river that exceed this level. Therefore, a BMAP has been signed into order by the Florida Department of Environmental Protection (FDEP). It seems straightforward to this point, but this is where things get interesting. You see, on July 1, 2016, the Water Bill (SB552) became effective. This bill gave the FDEP one year to adopt minimum flows and levels (MFLs), and two years to adopt comprehensive BMAPs and priority focus areas for all Outstanding Florida Springs. These are all historic first magnitude springs and De Leon, Peacock, Rock, Wekiwa and Gemini springs. A lot of work was done these past two years to put these BMAPs together. Each BMAP was completed with priority focus areas, a list of projects designed to get to the TMDL — ranked in order of priority, with a cost estimate and the source and amount of financial assistance to be contributed for each project. On June 29, 2018, FDEP Secretary Noah Valenstein signed into order the Suwannee River BMAP along with 12 other BMAPs. The plans have not yet been made final because all 13 were challenged. Anyone with substantial interests that are affected by a plan can petition for an administrative hearing. The petitions were filed by home builders’ associations, environmental groups and private citizens. Some groups want more time to understand the plans, others want more transparency in the plan-making process, while others feel the plans are flawed and will not achieve the TMDL. My reason for writing this article is to motivate readers to understand the BMAP and MFL processes. My suggestion is simple: If you live, own a house, and/or work in Florida, get informed about the BMAP in your area and participate however you can. BMAPs can place new restrictions on septic systems, urban fertilizer ordinances, waste water facilities, agriculture and more. If you live in the southeastern United States, pay attention to what is happening in Florida because these types of policies are likely happening around you or will be soon. I have focused mainly on water quality, but we must also be informed on issues of water quantity. Many areas in Florida are predicting water shortages in the next 20 years. This puts pressure on the water management districts, industry, agriculture and public water suppliers to find solutions. The water management districts in Florida must develop prevention and recovery strategies with 20-year timelines similar to those in BMAPs. The way to water sustainability will need to include ideas and input from diverse stakeholder groups if they are to be successful. Please contact me at cebarrett@ufl.edu with questions or comments. Charles Barrett is a University of Florida Institute of Food and Agricultural Sciences regional specialized Extension agent in Live Oak.